William Hazlitt is one of the foremost writers of the English language. His fame as a critic, essayist, and social commentator ranks with the likes of Samuel Johnson and George Orwell. He considered his justly famous Life of Napoleon as his most important work. 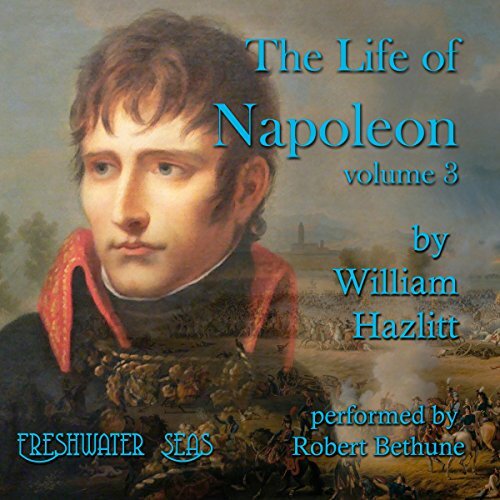 In this, the first volume of the work, William Hazlitt devotes the vast majority of the work to the vital historical background: Napoleon's family; the history of Corsica; where he grew up, as it affected him and his family; and, above all, the history of the French Revolution up to the siege of Toulon - the National Assembly, the Constitution, the invasion of France by the First Coalition, the execution of Louis XVI, the Convention, and the Reign of Terror. 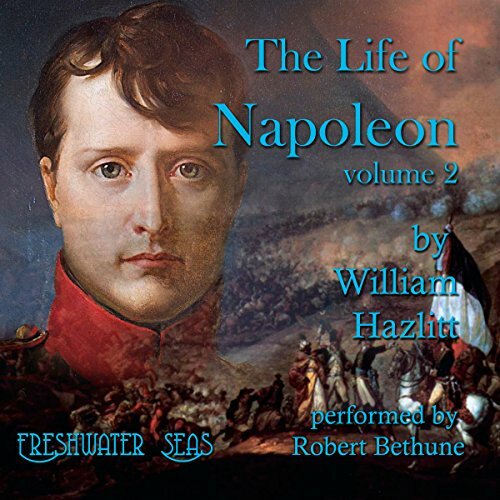 While this approach has the disadvantage of spending the vast majority of this volume on subjects other than Napoleon himself, it has the great advantage of leaving the listener thoroughly versed in the historical setting that framed Napoleon's life. When he emerges onto the stage of history at the siege of Toulon, we know exactly what setting he is stepping into. Hazlitt was a lifelong admirer of Napoleon and of the French Revolution, but his admiration was not blind. He shows the full extent of the French Republic's descent into the madness of the Reign of Terror and seeks the cause of it in the natural response of human beings to a toxic mix of fear and temptation, in a setting of political and institutional chaos inside the country, combined with existential threats of invasion and repression from all the major powers of Europe. His analysis is both passionate and clear sighted. While a firm champion of human rights, human liberty, and human progress, he does not flinch from a clear presentation of the horrors human nature can commit. The Life of Napoleon was originally published in four volumes in 1828-1830, not long before Hazlitt's death. It was later republished in a limited edition of six volumes by the Grolier Society. This audiobook is based on that edition. William Hazlitt is one of the foremost writers of the English language. His fame as a critic, essayist, and social commentator ranks with the likes of Samuel Johnson and George Orwell. He considered his justly famous Life of Napoleon as his most important work. 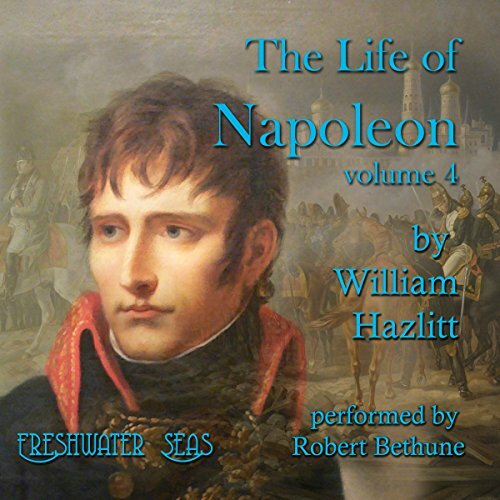 In this, the first volume of the work, William Hazlitt devotes the vast majority of the work to the vital historical background: Napoleon's family; the history of Corsica; where he grew up, as it affected him and his family; and, above all, the history of the French Revolution up to the siege of Toulon. In this, the second volume of the work, William Hazlitt takes us through the history of Napoleon's campaigns in Italy and Egypt. In the course of these campaigns, and in Napoleon's life in Paris between them, we can see a young, brilliant military leader starting to transform himself from a leader of armies into a leader of nations. His brilliant successes on the battlefield bring him to the adoring attention of the French people and the rather alarmed attention of the French government. 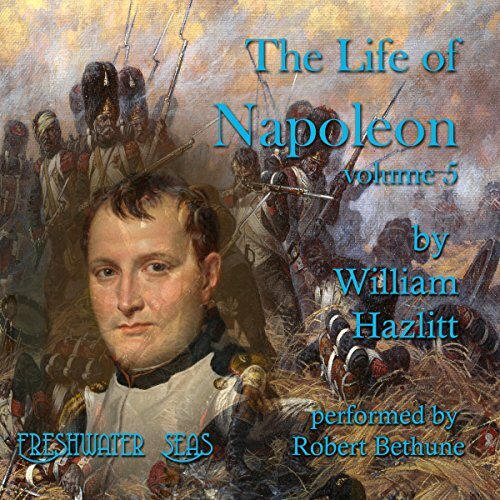 In this, the third volume of the work, William Hazlitt takes us through the a critical period in Napoleon's life: his leadership of France as first consul. He shows us how the political developments of the time coincided with Napoleon's personal development, the experiences that convinced him that France needed a new leader, and how he came to believe that he himself was that leader. This volume ends with the greatest transition of all, from first consul to emperor. 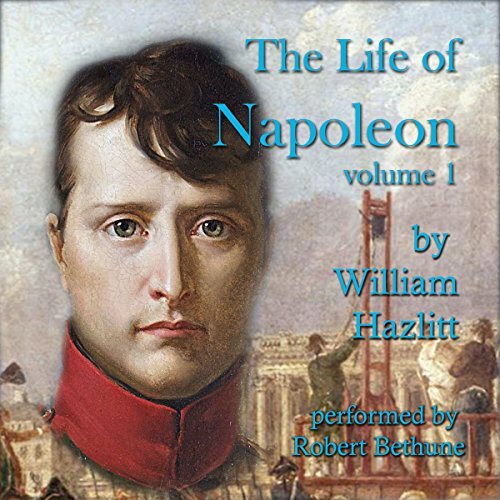 In this, the fourth volume of the work, William Hazlitt takes us through the great turning point in Napoleon's life: his invasion of Russia. He shows us the situation in Europe at that time: England controlling the sea, France controlling the land, and only Russia left as a land-based threat to France. He also explores the changes in Napoleon's life and mind: his divorce from Josephine, his marriage to Maria Louisa, his friendship with Emperor Alexander...a friendship that turned to deep enmity. In this, the fifth volume of the work, William Hazlitt takes us through Napoleon's fall from power. He shows us the situation in Europe at that time: England controlling the sea, and England, Austria, Russia, and Prussia massed on the borders of France, ready to consummate their 25-year struggle to restore the Bourbon monarchy. Nor were these the only enemies confronting Napoleon. William Hazlitt is one of the foremost writers of the English language. His fame as a critic, essayist, and social commentator ranks with the likes of Samuel Johnson and George Orwell. He considered his justly famous Life of Napoleon as his most important work. 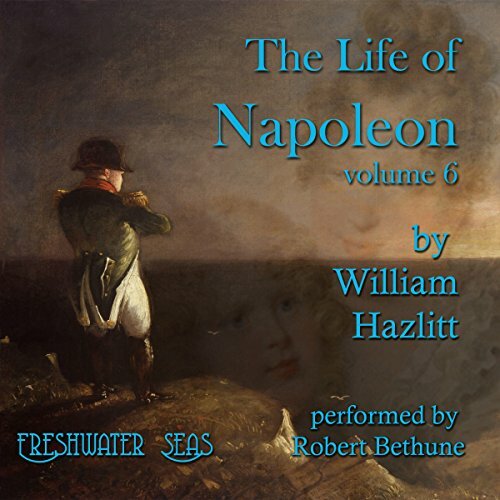 In this, the fifth volume of the work, William Hazlitt takes us through Napoleon's captivity on the island of St. Helena, his decline and his death.